This was a big man vs. little man match but without much emotion behind it and Cage didn't take some of Oku's offense very well. 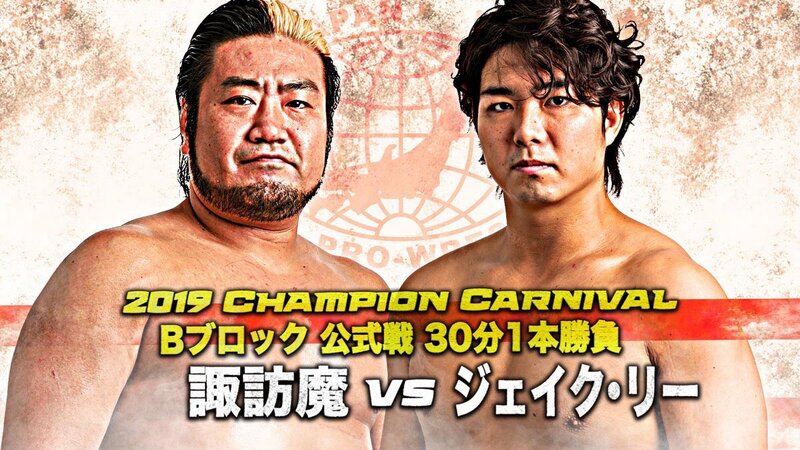 This match had two modes: "very good wrestling" and "stupid strong style bullsh*t." Unfortunately there was WAY too much of the latter and not enough of the former. And it's a real shame because the stuff they did early on with Ospreay as the classic babyface in peril felt like it could have been really special. Will Ospreay is a dumbf*ck. Suzuki has already punched him in the face so hard that he caused a nosebleed... and now Ospreay is in the ring standing there doing the "give me your best shot I can show you how tough I am!" strong-style bullsh*t. It's not about showing everyone how tough you are; it's about winning wrestling matches! Remember that time that Rocky Morton was in jeopardy and had the opportunity to tag Robert Gibson in, but instead he went over to Bobby Eaton and said "hey, Bobby! Punch me so I can show everyone how tough I am, then I'll do the same to you?" Of course you don't remember it because it didn't happen, because it'd be F*CKING STUPID. Now Suzuki is attacking the referee and not getting DQed. Zack gets tagged in and locks Ospreay in some sort of wacky seated headscissors, then grabs his (probably broken) nose. The ref starts to count to five so Zack breaks the hold. Why? It's not like referees ever disqualify anyone in Suzuki-Gun, so why do the dirty cheaters stop cheating when the referee tells them to in some cases? It makes no sense. Much more similar crap happened. Suzuki and Tanahashi had an AWFUL strike exchange where not only were they doing the "take turns letting the other guy hit me to show how tough I am" crap, but they were taking SOOOO much time between each strike to f*cking pull the other guy up and position him just so, with the other guy offering no resistance because he wants to take the most painful punch possible to show how tough he is. IT'S SOOOOOOOOO DUMB! Who could possibly enjoy this sh*t? It's called "professional WRESTLING," not "professional take turns letting the other guy hit you so you can show how tough you are." Later on we got this spot where Ospreay comes in and he's all fired up and he hits Suzuki with approximately a million straight forearms to the face as Suzuki is in the corner. Meanwhile, terrible referee Chris Roberts counts to four... and then just stops counting and begins to tell Ospreay to please stop forearming Suzuki. THAT'S WHAT THE COUNTING IS, YOU USELESS TURD! If he doesn't stop after four, you continue on to five and f*cking disqualify the guy! He can hear you counting and he knows what he's doing wrong and he's still doing it! When the police surround the bank and order the robber to "come out with your hands up!" if the robber doesn't come out they don't start to give him a lecture about how stealing money is wrong! They go in and they take the f*cker down! This sucked, and only the opening few minutes and closing few minutes topped me from giving it a dud or even going into the shallow negatives. This is exactly what professional wrestling isn't, and I don't understand why people think this sh*t is any better than WWE's goofy bullsh*t. Just because it's dudes hitting each other in the face doesn't mean it's not still way too much "entertainment" and not enough "sports." In a sport, the competitors are first and foremost trying to win. In 95% of this match, that was clearly not true. This was an otherwise great tag match that felt like it was completely devoid of the necessary sense of urgency as they headed towards the finish. They were doing fourth-gear moves and sequences but without ever feeling like they left second gear. This is especially problematic if you're mostly relying on action rather than selling/storytelling for your match, which was what this match did. POST-MATCH SEGMENT - We get a post-match babyface show of respect. Then we go off the air... and immediately rush back on air because Suzuki-Gun have attacked Aussie Open. Zack then cut a promo saying that not only would they defeat Aussie Open to retain the titles at Epic Encounter 2019 but El Desperado would then win the RPW Undisputed British Cruiserweight Title and then Suzuki-Gun's promised TakeOver of RevPro would be complete (I guess the women's title doesn't count), and he vowed that if that happened then next year, instead of their being a RevPro show at WrestleCon, it would be a Suzuki-Gun show. 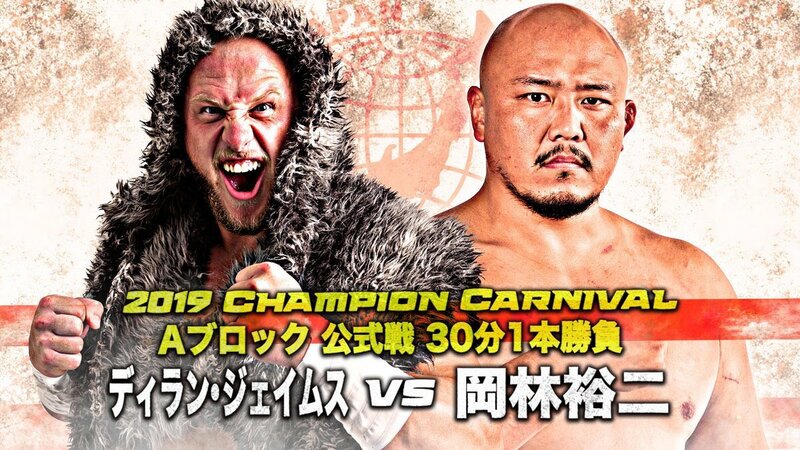 In a vacuum I'd find that to be a really cool thing to do one year, but I am just so sick and tired of New Japan in general and Suzuki-Gun in particular dominating this company the thought of this angle extending for another YEAR has me on the verge of giving up on RevPro altogether. 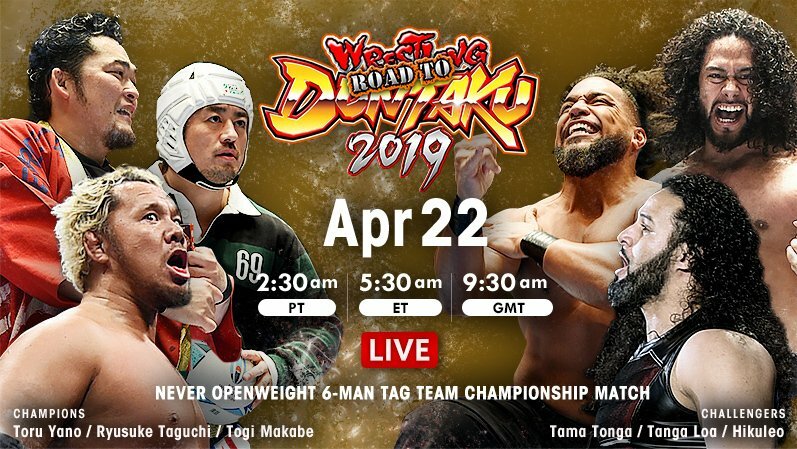 The aforementioned Suzuki-Gun vs. Aussie Open tag title match will take place on the 475th day of Suzuki-Gun's title reign. It will be only their FOURTH title defense. It will be their first in SIX MONTHS, with the previous win also coming over Aussie Open. Zack competing in that match means that the RPW Undisputed British Heavyweight Title will go undefended on that show. Assuming that Zack makes it to that show as champion (RevPro has three main roster shows between now and then, and Zack is only advertised for one of them, though one of the others also doesn't conflict with his New Japan schedule), then we will have gone OVER TWO AND A HALF YEARS since someone who was not a full-time member of the New Japan roster has been the RPW Undisputed British Heavyweight Champion. Of the five title changes since then, almost half of them have taken place in New Japan. As I've said before, New Japan has completely dominated RevPro for years now, with 2018 in particular being absolutely horrendous, with even WALTER doing a job for old man Kojima in a match with nothing on the line like a title that would require Kojima to win. The only guy who has been allowed to beat NJPW guys (but only Cruiserweights) has been El Phantasmo... who is now headed to NJPW himself. I bring this up yet again because when Zack talked about the Suzuki-Gun guys taking over the company and winning all of the titles... everyone cheered. 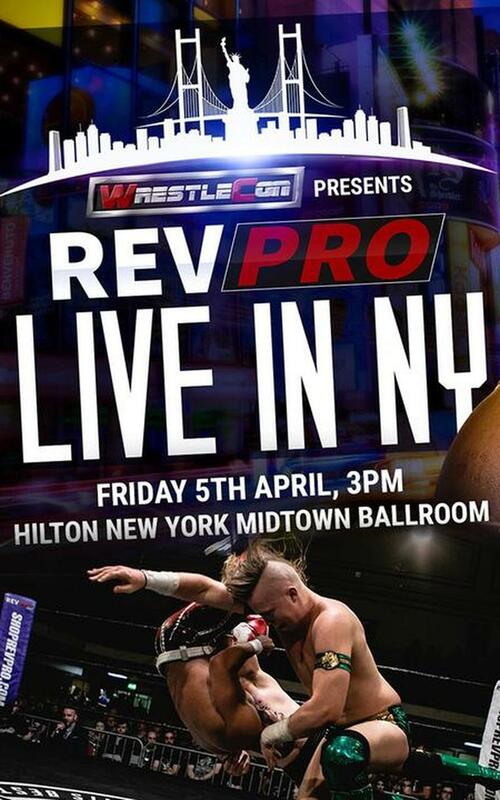 I realize that this isn't a typical RevPro crowd because it's WrestleMania weekend, but I was at the wXw show the previous day and there were plenty of German fans in for the weekend who went to that show, so I'd imagine you had many Brits similarly making sure to come see their home company's show. I know this comparison is clichéd, but I am very much getting a WCW/n.W.o. 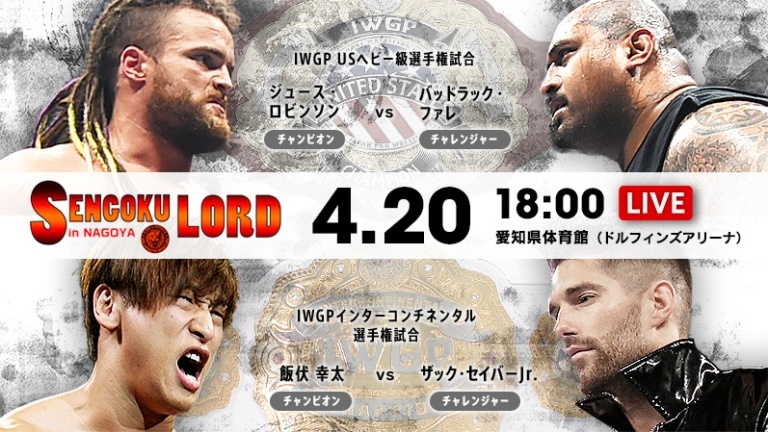 vibe here, with the invaders (both Suzuki-Gun and New Japan) being made to look better and cooler at the expense of the home team guys- i.e. the guys who are around every show as opposed to Zack or Ospreay (Starr jobbed to Ishii AGAIN)- and it feels like it is doing damage to RevPro as a brand. 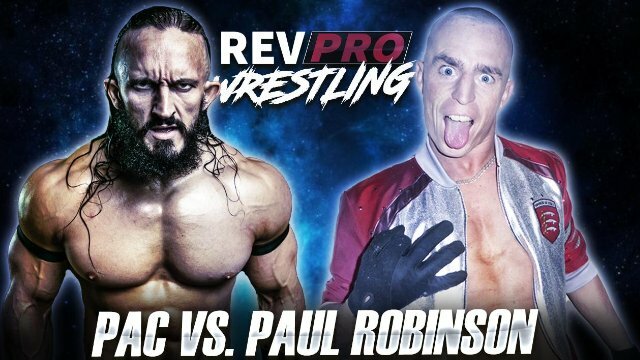 This was an extremely disappointing show from RevPro. Pretty much nothing delivered (especially not of the matches that people were looking forward to) and from a storyline point of view the show pretty much entirely filler, which was made even more obvious by the big RPW British Heavyweight Title match going to joint ROH/NJPW show the next night while RevPro's own show merely got the "Road to..." tag match. The fact that they couldn't even book their own women's champion to defend her title despite her being town this weekend (she worked SHIMMER, Black Label Pro, and Battle Club Pro) or get their own big babyface star on the show (El Phantasmo was working in the UK this weekend) made them look bad and added to the total filler feeling of this show. This felt like a show they ran because "eh, why the hell not?" 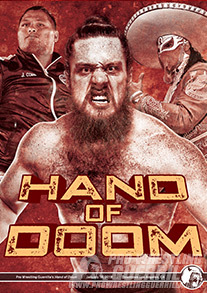 rather than a show that they build up to in order to make it a big deal the way wXw or TNA or EVOLVE or CHIKARA or ROH/NJPW or pretty much every other promotion with even a minimal inclination towards storylines did.